EDINBURGH, Scotland—Blair Jenkins, Officer of the Order of the British Empire (OBE), former Director of Broadcasting at Scottish Television, said Shen Yun was unlike any show he had seen before. 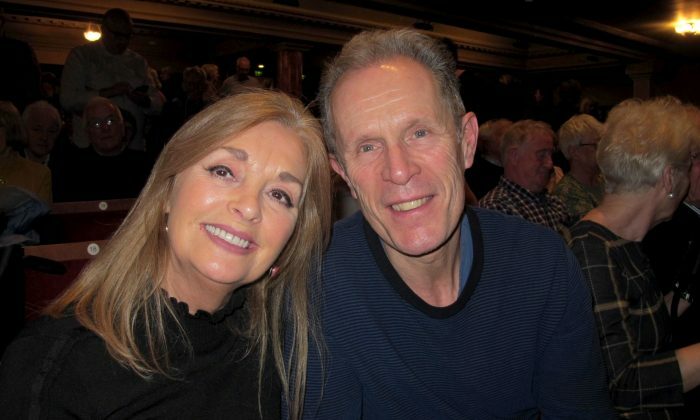 Jenkins, who was made an OBE in 2010 for his services to broadcasting, saw the performance with his partner Carol Sinclair at Edinburgh Playhouse on Jan. 25. Jenkins hit the headlines in 2012 when he led the campaign for Scottish independence. “It’s definitely worth anyone seeing because it’s something unique and it’s not something we’ve seen before. The standard is very, very high,” he said, emphasizing several times the quality of the choreography. “The production values are very high and the staging is really good,” he added. Shen Yun is the premier classical Chinese dance and music company, with a mission to revive China’s semi-divine culture. “It’s a magnificent art form to bring back that culture and to share with people and help people understand it. This is the perfect vehicle for that. It’s really commendable,” she said. At the heart of Shen Yun is thousands-years-old classical Chinese dance, which has been passed down and refined over the dynasties, which, alongside ballet, is one of the most comprehensive dance systems in the world. Shen Yun artists believe in cultivating their inner selves in order to bring audiences art that truly inspires joy. Many of the Shen Yun artists practice the spiritual discipline Falun Dafa, which teaches the three principles of truthfulness, compassion, and tolerance. But the performance is also “enjoyable just as a spectacle,” Jenkins said. With reporting by Mary Man and John Smithies.